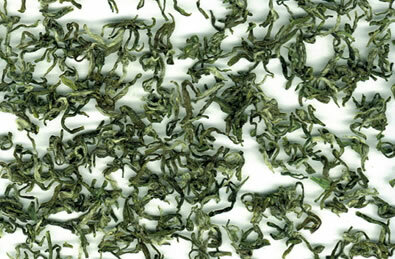 Song Yang Silver Monkey is similar with claw of monkey in shape and silver in color.It is one of the new famous teas in Zhejiang province. The picking technology of Silver Monkey is very refinement. The time of picking is early,the leaf is tender.The picking time begins before Tsing Ming,and end at Gu Yu Time,the standard of picking is :superfine tea with one bud and one leaf,One to two grade tea with one bud and one leaf or one bud and two leaves.Generally,producing one kilogram superfine needs seventy thousand leaves or so. The main process of making Song Yang Silver Monkey include: reducing green, kneading, second reducing green,third reducing green,baking. The form of the tea is strong ,curly and pilose, the soup is bright and aqua, aroma is full-bodied,taste is fresh and good.